CANTON, OH (WOIO) - Canton resident Davis Beule is in favor of taking the right amount of time to get the right dog to replace Canton's Canine Jethro. "We look forward to getting another in the unit. So, it would be good for Canton," said Beule. 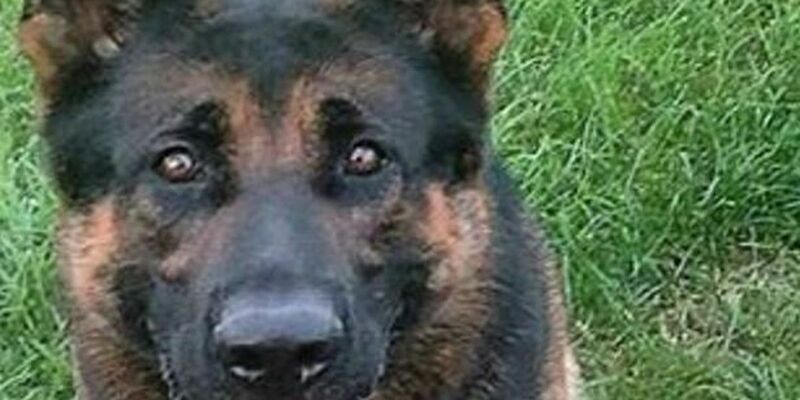 Everybody seems to be onboard with the painstaking process to get another police dog to replace their beloved K9 Jethro, killed in the line of duty. "You got to be careful picking dogs I suppose. They're all very well bred, got to go through the right process I guess to get the right dog," added Beule. As you know Canine Jethro was not just another dog. He was a very integral part of the police family there and folks in Canton say do whatever you have to do to make sure the match is right. Dan Zahm another Canton resident is also okay with the process. "They're involved with the family. They're involved with the kids. So, it's important to pick a good temperament," said Zahm. Andrea Baker has seen the effects of Jethro being killed and the toll it took on everyone close to the situation. "I happen to know the police officer's mom. She's a friend of mine. The tragedy of losing K9 Jethro touches people in Canton in a very personal way. It"s really a setback to the community having to start that process over again," Baker said. But it's a process that is worth it to get the right dog. Ryan Montgomery said, "You don't just want anybody beside you to protect you. So, with them doing the proper training and going to find an adequate partner, as far as the dog goes, in my opinion I think it's being handled pretty well."